About 10years ago when I was still living in Nigeria, I went to visit a friend of mine. Reaching his House I saw a sick girl out side on the floor helpless. I asked what’s wrong they said she is sick but no money to take her to the hospital. I went inside the room but couldn’t stay knowing that child reminds me of me being kept outside for my body to heal itself because we had no money for hospital. So I came out gave them money and ask them to take the Child to the hospital immediately!!! . They called me that evening that the child has been admitted in the hospital as soon as they reached. 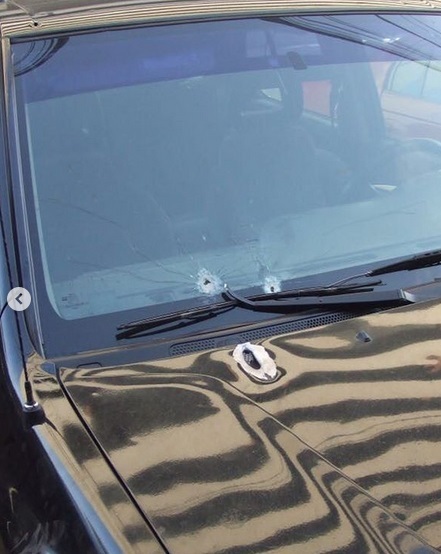 They thanked me and off the phone..... 3days latter while I was coming back from the club, I was attacked by gun men who shot at my car and a bullet hit me. 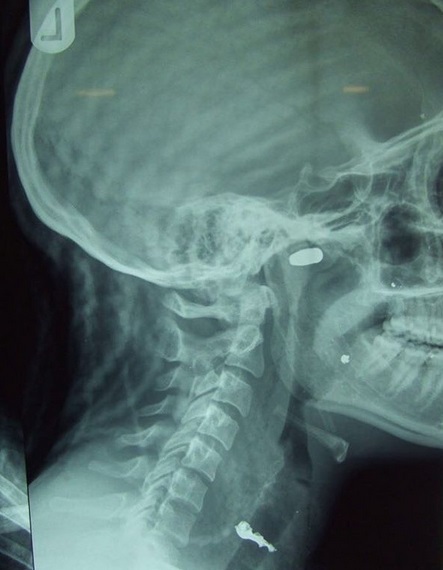 The bullet went through my nose and stayed right where you can see on the scan pictures I just posted. And a big piece of glass went into my neck too as u can see on the scan pictures.. we went to 2 hospitals that night only the 3rd accept me.. they were scared I will die on them. I was bleeding like hell... I was coughing out glasses and blood which made me ask the nurses if I will make ? I’m a strong woman but for the first time in my life I asked someone if I will survive!!!!! But I did anyway🙏🏾🙏🏾🙏🏾🙏🏾 the next day the little girl I helped called me from her own hospital bed to tell me she prayed for me that her brother told them immediately I was shot to pray for me and she did.. that I shouldn’t worry nothing will happen to me!!! We both recovered and here I am today telling the story... so now if I say thank God for life, you will feel me better .. I am 35 years today thank God for life💥⚡️ and don’t forget to be good to people, you might just be saving your own life/future!!! !